The temple Wat Bang Phra is many hundred years old. Unfortunately there are no records of the incurrence of the temple, but there are many pieces of very old walls, that shows that the temple must be built in the days of old. Wat Bang Phra is famous since the year one for the magic Tattoos, called Sak Yant or Yantra Tattoos. Those holy tattoos gives the wearer protection from evil, strength, luck and other magical features, because the holy monks blesses the tattoos and they breath life into them. These magic Tattoos were etched in the traditional way, that means the monk uses an about 50 cm long stick, which hastates into a needle. Then he etches the Tattoo by his hands. A Tattoo is made out of more then thousand stitches, which gives a thin line. The completion of a traditional Tattoo takes about 15 to 45 minutes, depending on the size of the Tattoo. 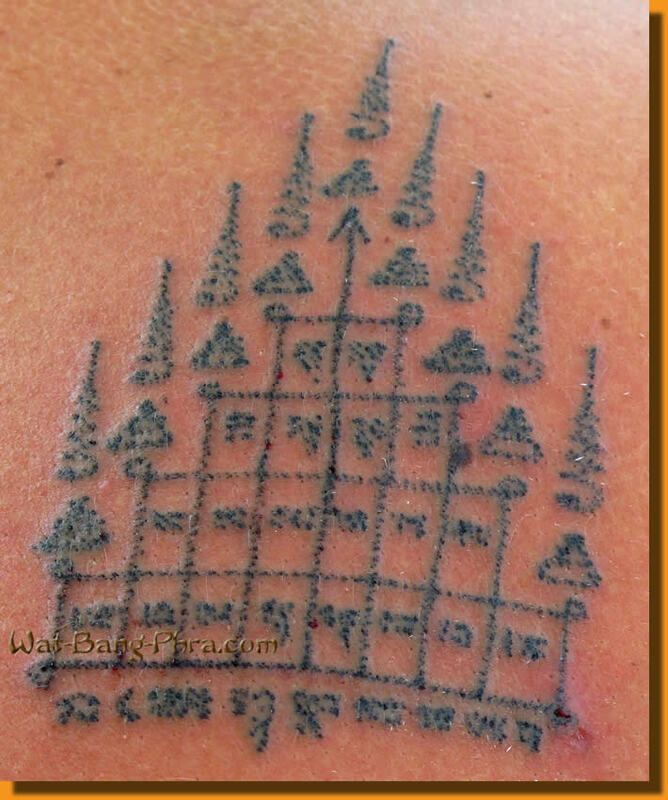 Normally Luang Pi Nunn selects the subject of the Tattoo, depending on the wearers aura. Here Lueng Pi Nunn chooses the Yant Gao Yord, which is a strong protection Tattoo. 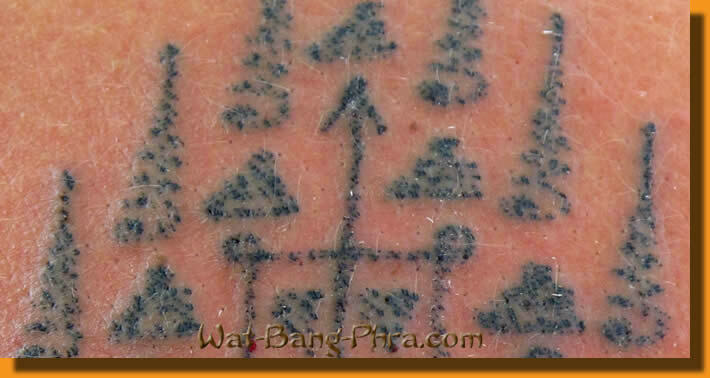 The wearer of this Tattoo is protected by spells, bad words and bad thoughts of other people. 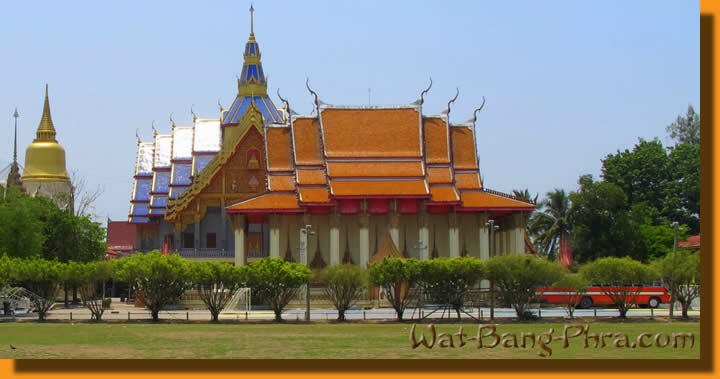 Visit the temple Wat Bang Phra and relax in a quiet and clean beach resort in Cha-Am, which is about 200 kilometers south of Bangkok. Enjoy Thailand and spend your Holiday in Phetchaburi in a nice hotel. One of the most beautiful sea resorts in Thailand is Cha-Am. Make Holiday in Cha-Am and read many information about this city. Are you interested in learning Thaimassage? The best massage is the Traditional Thai Massage in Wat Po, where you also can spend your holiday.